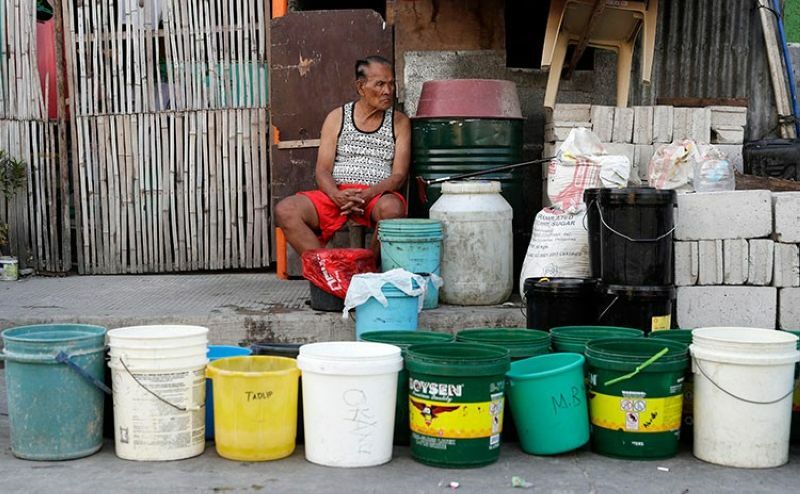 IN LIGHT of scarcity of water supply in the country, President Rodrigo Duterte has ordered the review of the government's deal with private water concessionaires to omit "onerous" provisions that put the public at a disadvantage, Malacañang said Tuesday, April 2. Duterte gave the directive during the 36th Cabinet meeting held at Malacañan Palace on Monday, April 1, Presidential Spokesperson Salvador Panelo said in a statement. Panelo said the President also wanted Solicitor General Jose Calida and Justice Secretary Menardo Guevarra to look at the arbitration case lodged against the Philippine government by private water concessionaire Maynilad Water Services in Singapore. "[Duterte] directed the Solicitor-General and the Secretary of Justice to study the case of Maynilad vs Republic," the Palace official said. "The Chief Executive then instructed all agencies to check and review all contracts entered into and remove onerous provisions that might be detrimental to the lives of the Filipinos. He reiterated his vow to protect the people of the Republic of the Philippines," he added. In October 2018, the high court of Singapore upheld its earlier ruling granting Maynilad's application to raise water rates. Duterte's order came as he had expressed ire over the reported water crisis in Metro Manila and other nearby provinces, causing inconvenience to thousands of residents in the affected areas. Duterte has given state water regulator Metropolitan Waterworks and Sewerage System (MWSS), Manila Water, and another private water concessionaire Maynilad Water Services until April 15 to look for ways to provide sufficient water supply to consumers in Metro Manila and nearby provinces. The Chief Executive has also threatened to fire MWSS officials and terminate the contracts of Manila Water and Maynilad, if they fail to address the water shortage. During the Cabinet meeting, possible ways to mitigate the effects of El Niño and water shortage were also tackled, Panelo said. Panelo noted that a roadmap was presented, which included "immediate, medium and long-term interventions, such as making an intensive campaign for the conservation of water and energy." He added that there were also discussions about the creation of departments of Water and Disaster Resilience, dredging of waterways, replacement of tunnels and aqueducts, installation of water tank systems in all Department of Health's hospitals, and planned funding for the establishment of water treatment plants. Panelo said the National Economic and Development Authority (Neda), through Undersecretary Adoracion Navarro, had presented the proposed Executive Order (EO) on transforming and strengthening the National Water Resources Board (NWRB). "The EO will merge the NWRB and the River Basin Control Office into the National Water Management Council," the Palace official said.